Dublin is connected to the Isle of Man via the port of Douglas. On average, there is one crossing per week between Dublin and the Isle of Man, operated by Isle of Man Steam Packet. Crossings from Dublin to Douglas usually take around 2 hours 55 minutes. 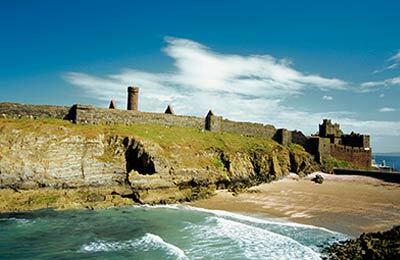 The above information is a basic summary on the services between Dublin and the Isle of Man. We recommend using our Ferry Search to find live ferry information and the latest prices. The cosmopolitan and lively Irish capital should be a must on anybody's European itenerary. Like any European capital it would be impossible to describe all there is to see and do. The number one attraction is the Guinness Storehouse - the home of the ""The Black Stuff"" Dublin's world famous dry stout. Other attractions include St Patrick's cathedral - what would Ireland be without St Paddy after all? The National Gallery, Botanic Gardens, the National Acquatic Centre, Dublin Zoo, the list is almost endless. However, when you leave Dublin, what you'll remember above all else is the atmposphere: the small pubs filled with dancing and music and perhaps above all else the friendliness of the locals. Dublin Ferry Port is Ireland's largest and busiest ferry port and is situated right in the heart of Dublin, one of the most vibrant capital cities in Europe. It is situated just 2 miles away from the Dublin city centre and is easily accessible by car or by public transport. The city of Dublin is over 1000 years old and has developed into a city, rich in culture and heritage. Dublin has always been a centre for the development of art, literature and theatre. James Joyce, Oscar Wilde, Colin Farrell and Bono (U2 lead singer) are just a few of the famous Dubliners. A great way to see Dublin is by walking along the banks of the river Liffey which flows all along the centre of Dublin. On either sides of the river, lie numerous visitor attractions. 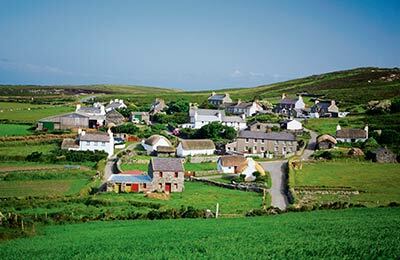 Experience the hospitable and quirky nature of Manx life in a trip to the Isle of Man. There is something to appeal to everyone, whether you are after steam trains, boats, picturesque ports or opportunities for hiking. The Isle of Man is a small island in the middle of the Irish Sea. Whilst the British Government oversee its defence and foreign relations, it is to all other sense and purposes an independent government. This lends the island a unique sense of independence.